You have to have a blackened, cold, dead heart to not swoon over Pick of the Litter, a wonderful, charming, and happy-tears inducing look at five Labrador puppies entering guide dog training. Under the umbrella of the non-profit Guide Dogs for the Blind (GDB) organization, directors Dana Nachman and Don Hardy, Jr. settle into the lives of girl pups Potomac, Primrose, and Poppet, and boy pups Patriot and Phil, who begin the two-year journey from birth to potential placement with a sight-challenged owner. 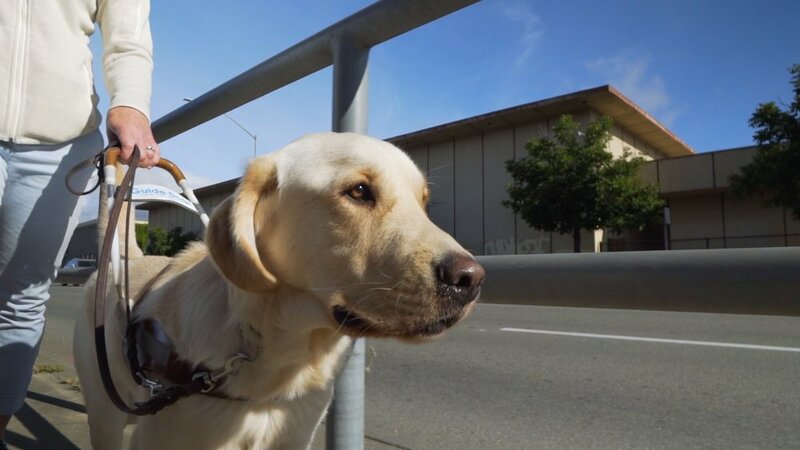 The film is a fascinating look at not just the dogs, but also the "puppy raisers", the challenges, and the strict guidelines that all must adhere to, including the struggles of inexperienced trainers. hyperactive temperament among some of the dogs, and the difficult but necessary separating of emotions required between trainer and trainee. For 80 minutes, Pick of the Litter ensnares you in a world that you don't want to escape from. These puppers steal your heart, we connect to the stories being told, and cannot help and root for each dog's success. Starring: Patriot, Potomac, Primrose, Poppet, and Phil. Director: Dana Nachman, Don Hardy, Jr.